Visit Alberta Avenue homes for sale to see all the currently listed houses, condos and duplexes for sale in this Central Edmonton neighbourhood that is also known as Norwood. 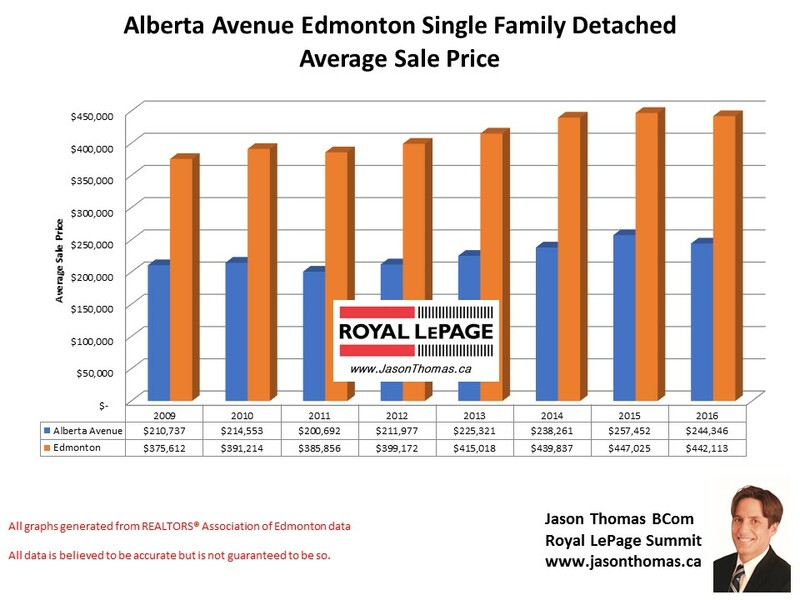 The average sellinig price for a home in Alberta Avenue slipped in 2016 to finish the year at $244,346, that is off the 2015 average sold price in Alberta Avenue of $257,452. The average time it took to sell a house in Alberta Avenue in 2016 was 44 days, and the highest price that a home sold for last year in Alberta Avenue was $405,000.